The definition of ‘puppet’ can be slightly different depending on who you talk to. Most people picture the fabric toy puppets they might have had as children, or the Muppet characters created by Jim Henson for Sesame Street. We often say that a puppet is any object brought to life by an operator, a definition which includes both realistic and abstract characters. 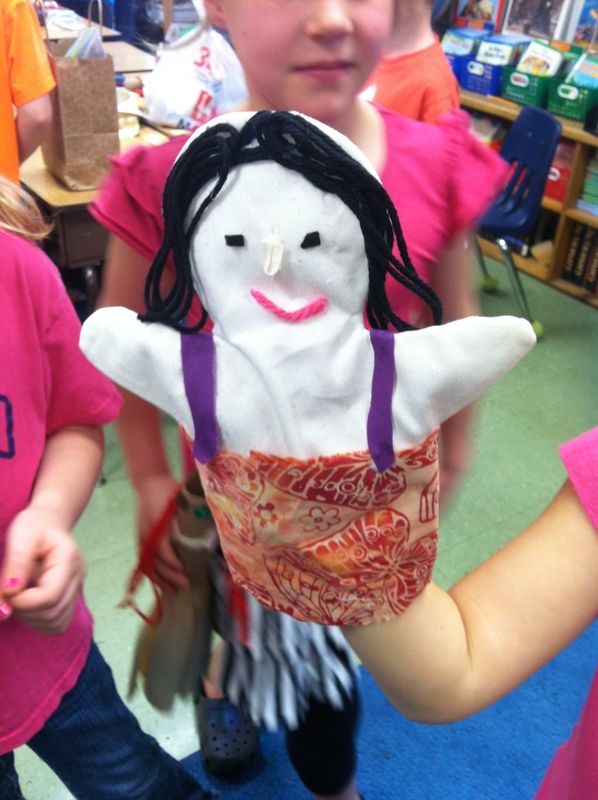 A hand puppet created by a student. Hand puppets are puppets operated by the puppeteers hand inside the puppet’s body, usually making the head and hands move. Punch and Judy are good examples of traditional hand puppets. Sometimes a hand puppet is operated by two people, such as Telly Monster from Sesame Street. 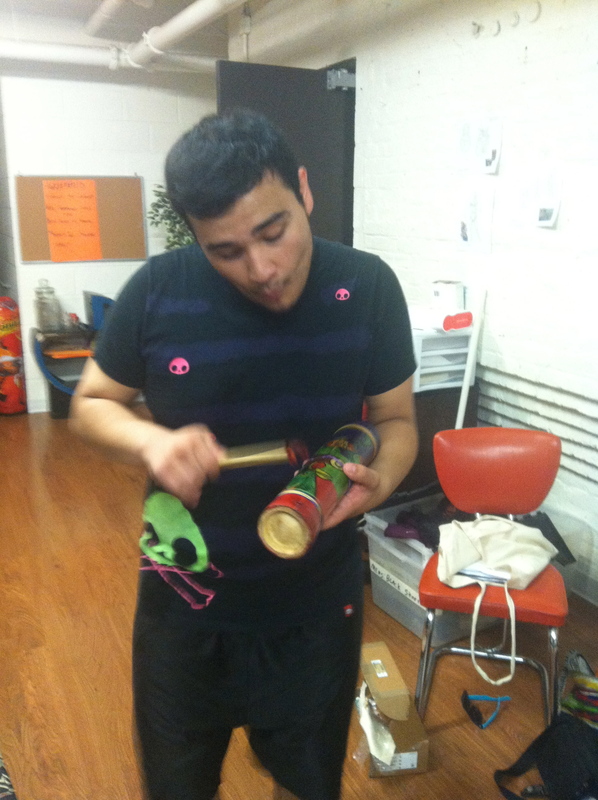 Rod puppets are puppets with a rod holding up the body and usually two rods controlling the hands or arms. This allows the puppeteer to put some distance between themselves and the puppet. They are traditionally found in southeast Asia, primarily Indonesia. Marionettes are puppets controlled by strings or wires. A good example of marionettes are the puppets in the movie The Sound of Music. 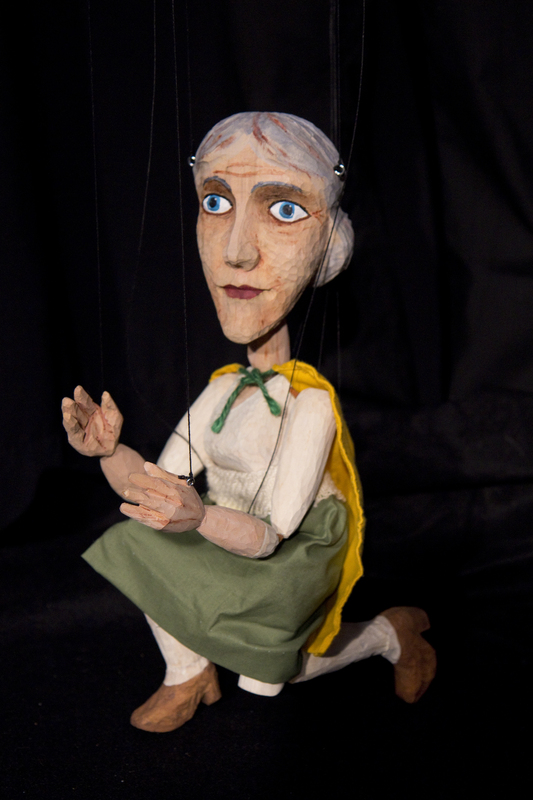 Some marionettes can have up to a dozen strings controlling all the different parts of the body. Marionettes are usually human figures but can also be animals or abstract figures. Over-life-size puppets is the term used by puppet historian John Bell to describe puppets that are larger than human size or enclose the puppeteer inside the puppet. Big Bird, from Sesame Street is an example of this kind of puppet. 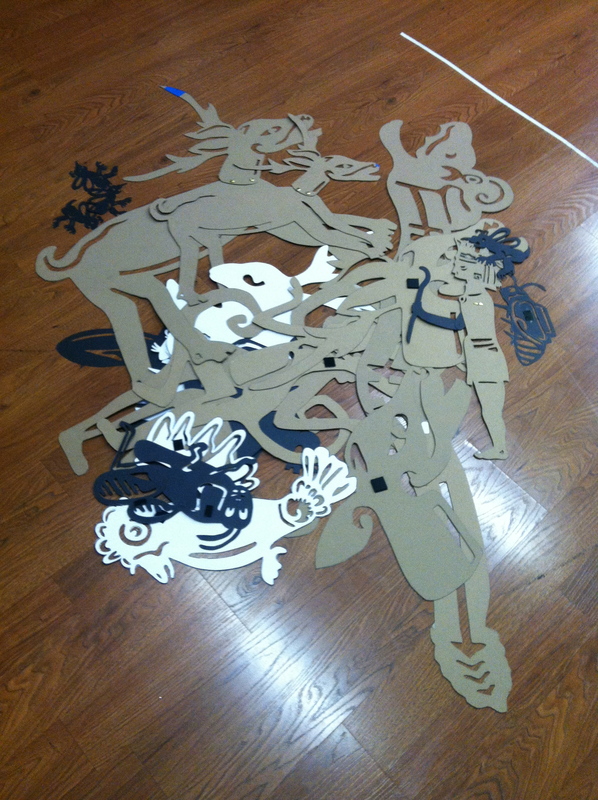 Shadow puppets that we created for Fabulas Mayas at GALA Hispanic Theatre. 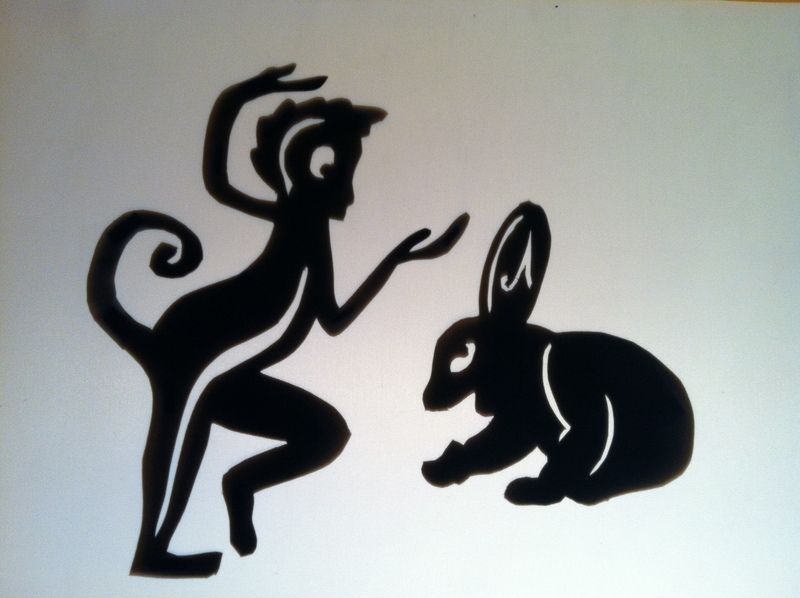 Shadow puppets are flat cutout figures traditionally seen in silhouette, behind a screen. They can be made of paper, plastic, or leather and are sometimes opaque and sometimes translucent. 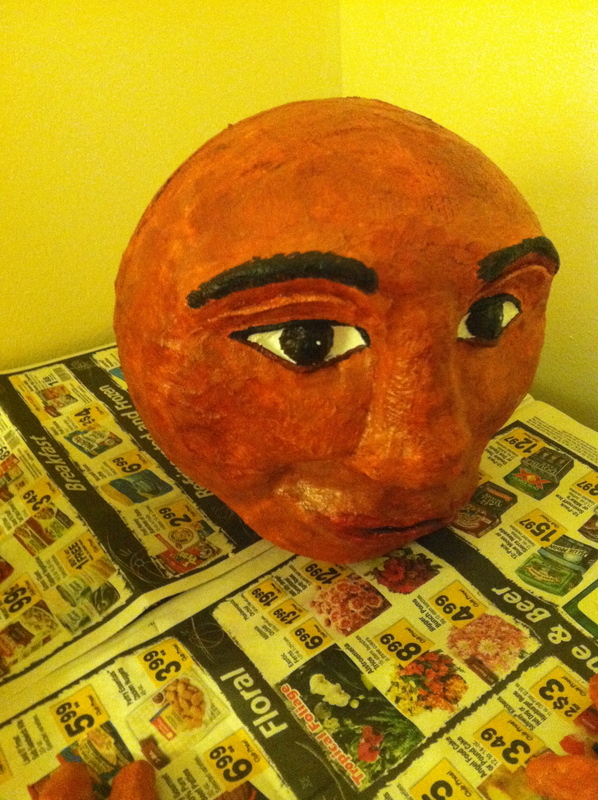 Object puppet is a term we sometimes use to describe characters that are created from found objects. All puppets can be classified as ‘object theater’ but these are characters made from a single object such as a hairbrush, fork or pair of binoculars. Bunraku is a style of puppet originally from Japan. They are usually half or three quarters of human size and are operated by three puppeteers at once. 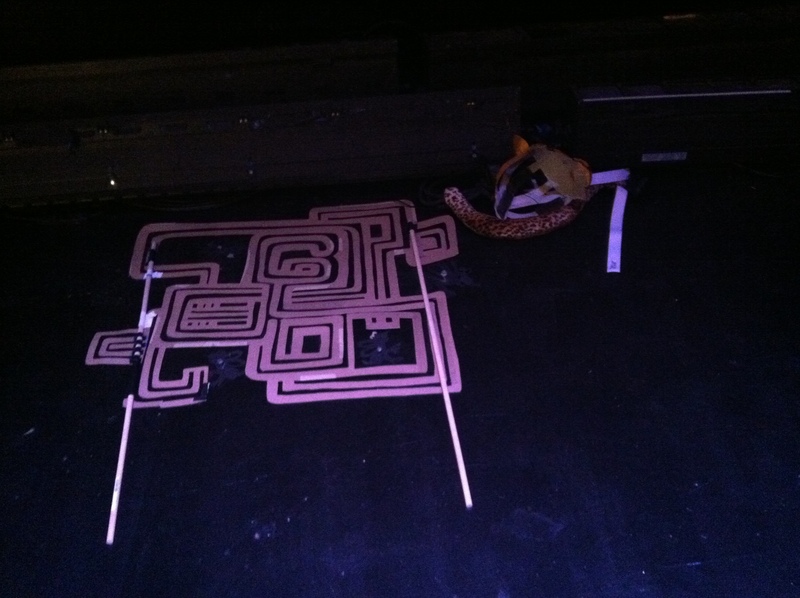 Here are some photos giving you the backstage view before and during the show Fabulas Mayas at GALA Hispanic Theatre. We have one more public performance tomorrow at 3pm! 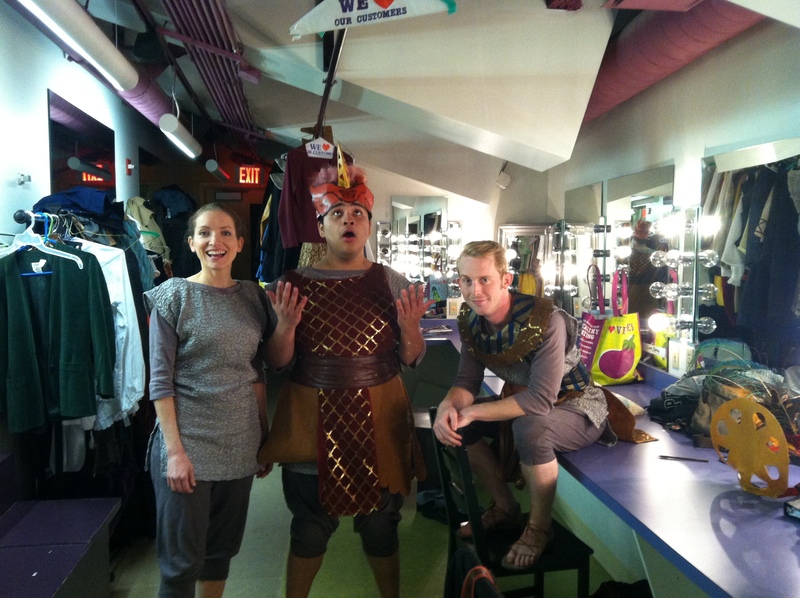 Getting ready in the dressing room, that’s Bob Sheire and Carol Spring. 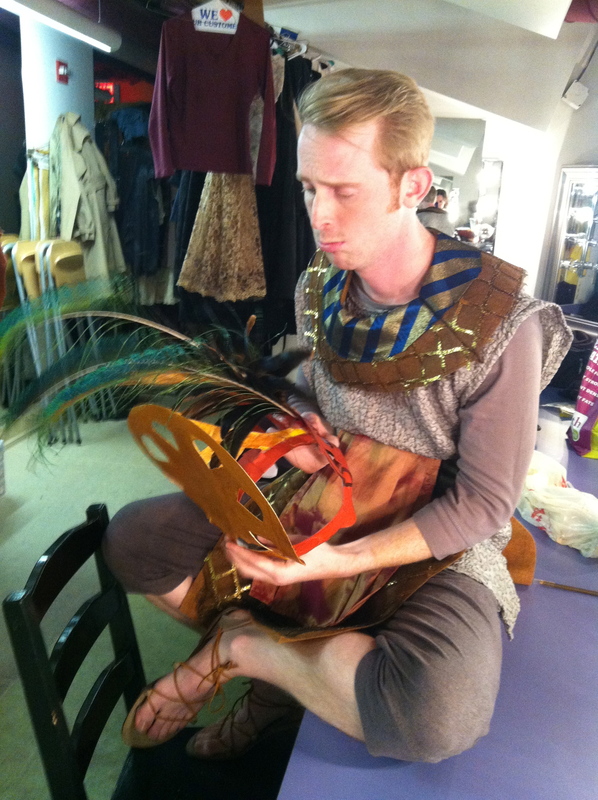 Bob making faces at his Creator headdress. 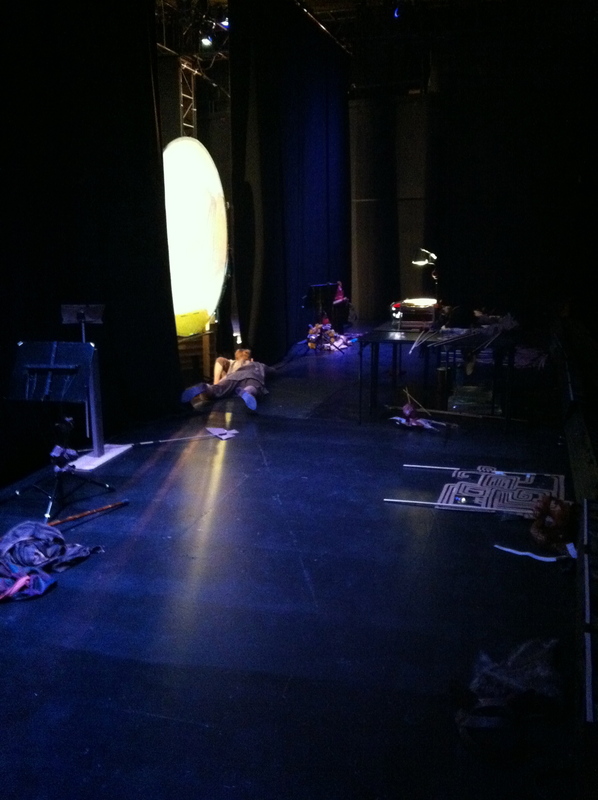 The view backstage, with the shadow screen, puppet tables and masking. 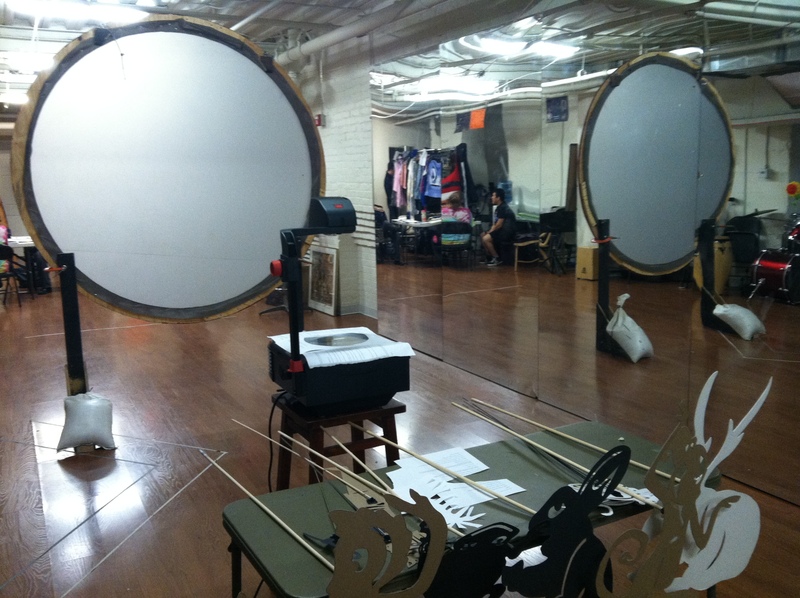 A few shadow puppets that are too big for tables wait on the floor, along with costumes. Our projector! Source of all light and backgrounds! 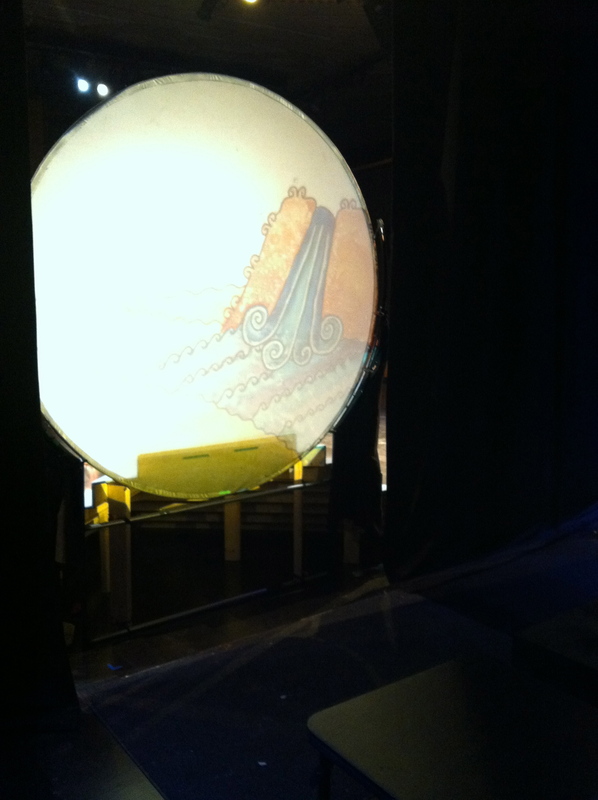 The shadow screen, with a glimpse of one of the gorgeous backgrounds painted by Amy Kellett. 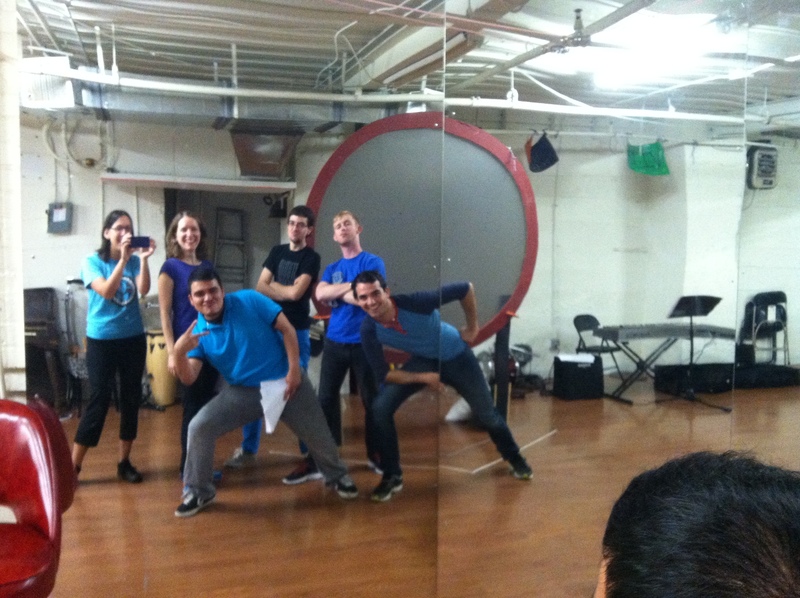 Three-fourths of the cast of Fabulas Mayas (Cecilia was taking the picture). From the left, Carol, Jose and Bob. The Light Princess, a new musical with puppetry at the National Theatre in London. A quick note here with a VERY short September grab bag. 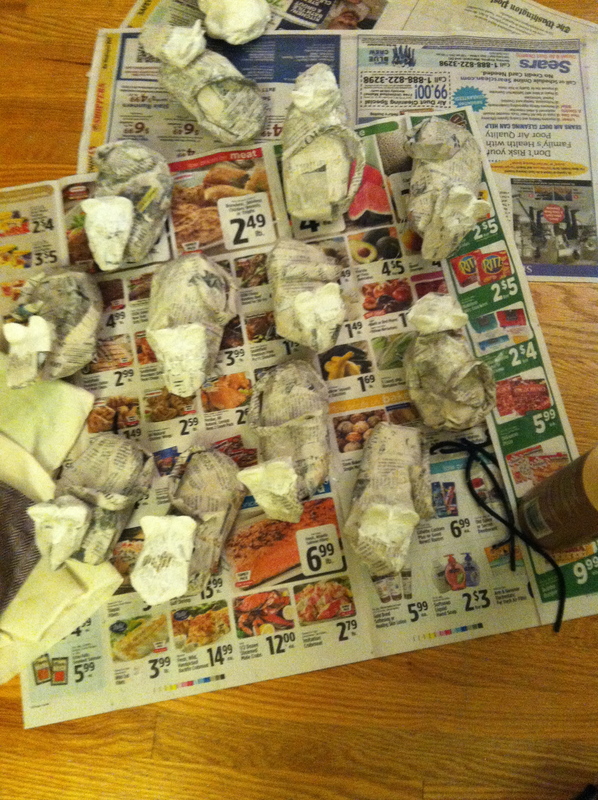 We are in the midst of building puppets for Fábulas Mayas and battling illness as well as stubborn cardboard and dull X-acto blades. However, I wanted to highlight two puppet projects from the UK; one of which I saw in Edinburgh this summer and another which just opened at the National Theatre in London. 1. 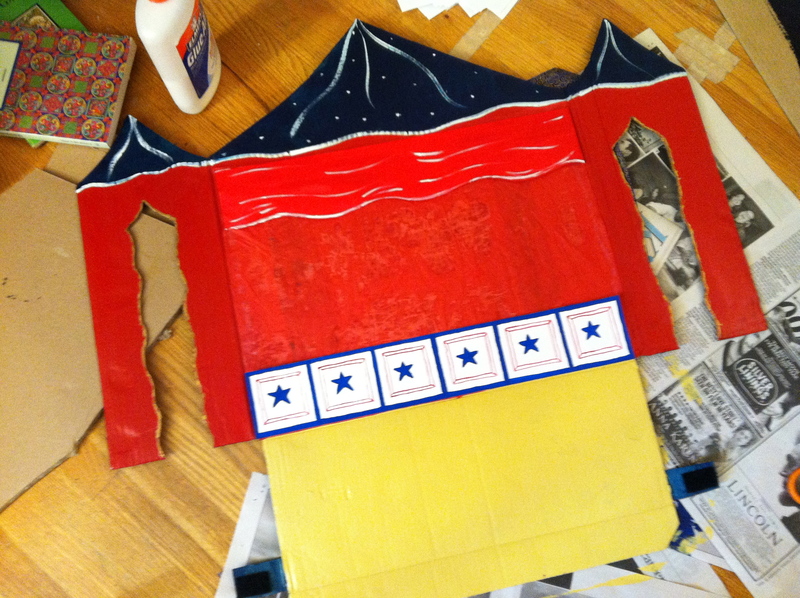 Bunk Puppets is a one-man operation with several shows in repertoire. Slapdash Galaxy, which I saw as part of the Edinburgh Festival Fringe, tells the story of two brothers who leave their home planet in search of a new home. The puppets are shadow puppets, but projected from the front onto a screen, rather than from behind, the way all our shadow work has been created. 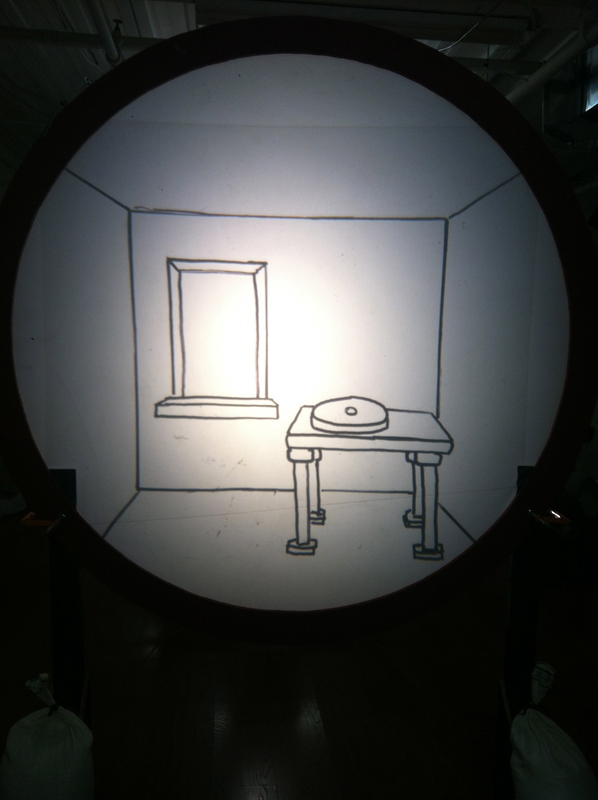 At the end of the piece, 3D glasses are handed out and the shadows turn three-dimensional in an impressive display. If you find yourself at a festival or in a city where Bunk Puppets is performing, be sure to check them out. 2. 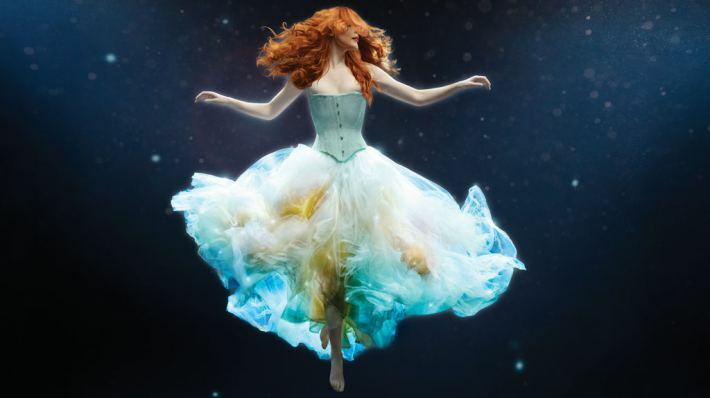 A much larger project is The Light Princess, an original musical by Tori Amos and Samuel Adamson based on the 19th century fairy tale by George MacDonald, which just opened at the National Theatre in London. Part of the creative team worked on War Horse at the National Theatre and this new play also includes puppetry. The story of a princess who cannot cry and is in danger of just floating away, this sounds like a magical new piece that I would definitely see if I were lucky enough to be in London this fall! Amos talks about the process of writing the show in an article here. Looking ahead to the fall and next year, we are thrilled to be able to announce two collaborative projects we will be working on next season with two different DC area companies. 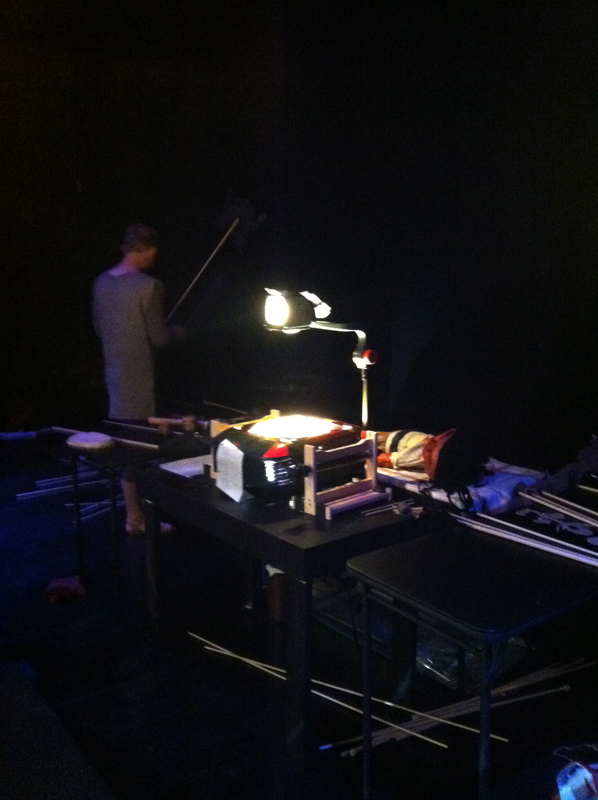 First, we will be creating puppets and objects for Under the Canopy, a theater piece created for children age 0-2 by Tia Shearer and Matt Bassett for Arts on the Horizon. 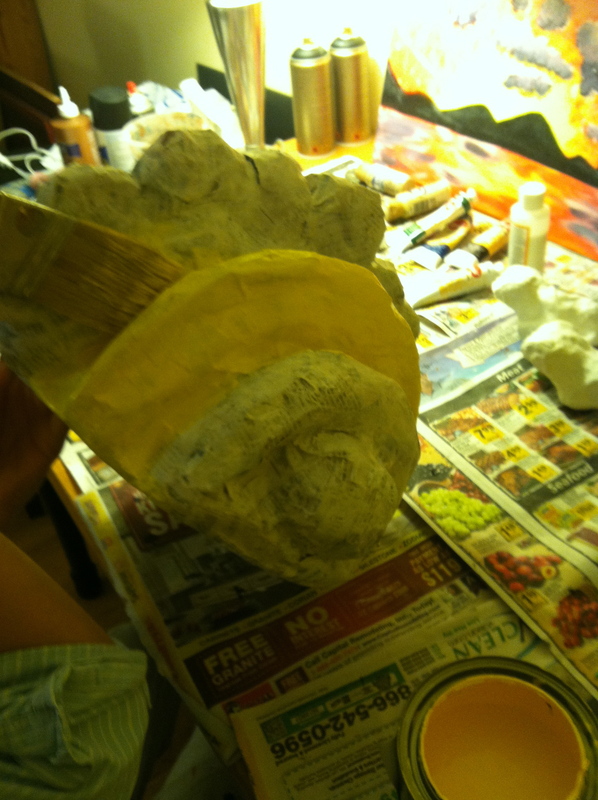 This project will have a workshop in early August and a full production next February. Tia and Matt have done some lovely work for little ones in the past and we are excited to get to work with them on this rainforest inspired, multi-sensory experience for families. We are looking forward to learning lots about how to best reach our youngest audiences! 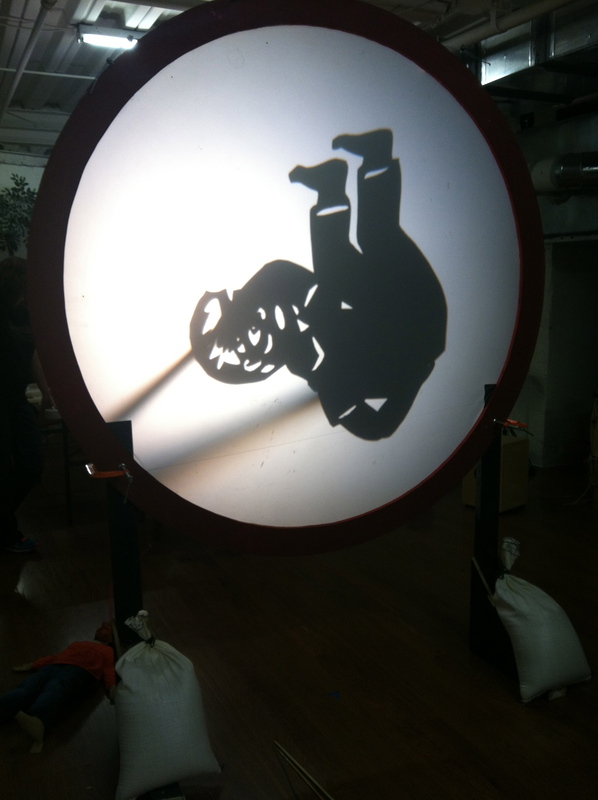 We will also be designing and building shadow puppets for Fabulas Mayas, the first show of the GALita season for children at GALA Hispanic Theatre. Written by Cecilia Cackley, this bilingual show is adapted from Guatemalan fables of the Maya tradition, and features the Creator and Shaper of the world along with various animals who play tricks on each other and in general cause trouble. We are also looking at possibly touring this production to area schools in November. We are excited about sharing lots of new puppets and stories with DC this year! See you at the theater!